Q: Where do I sign up for a free fax to email number for Hotmail? 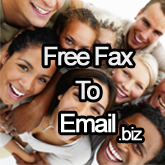 A: To sign up for a free fax to email number is easy, visit http://freefaxtoemail.biz and follow the steps. Q: How long does it take before I can receive faxes for Hotmail? A: You can start using the free fax to email service right away, it will take you 60 seconds to sign up, if you type normally. No longer than one minute. All we need is your name, phone number and email address, it is that easy! 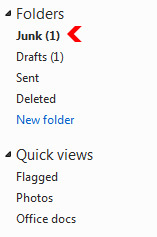 What you need before you start : A hotmail email account. Hotmail is owned by Microsoft. What you would like to get: Your own personal free hotmail fax number! Done! 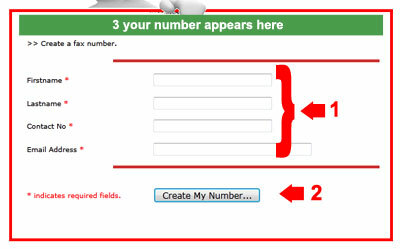 Look at the area marked in green in the example above, this is where your personal free fax to email number appears. You will now receive your very first free test fax in your email automatically. If you fail to see the fax in your messages, click "Junk" and look for the email in there. Click the email to view it, a warning is displayed as shown below. Click "Wait, it's safe!" At the top of the message, click "Add to contacts"
Done! Your faxes will now always appear in your Inbox!